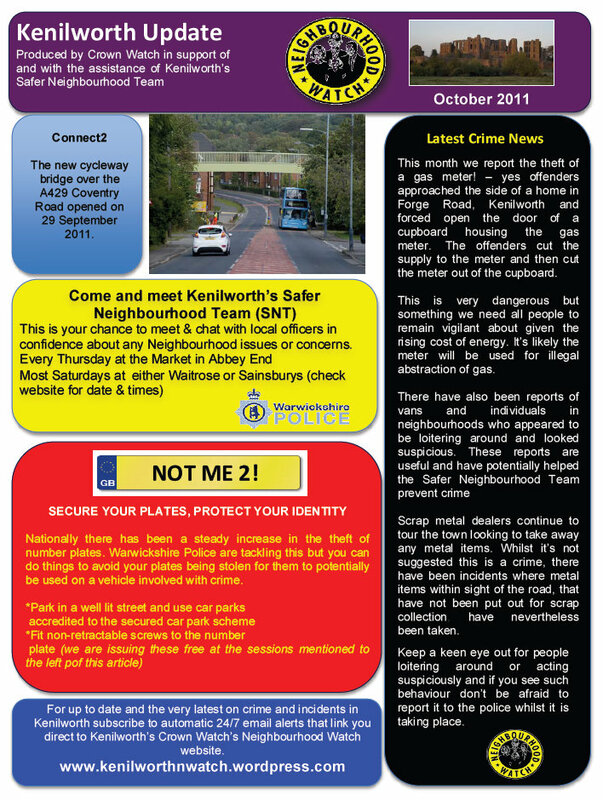 This month we report the theft of a gas meter! – yes offenders approached the side of a home in Forge Road, Kenilworth and forced open the door of a cupboard housing the gas meter. The offenders cut the supply to the meter and then cut the meter out of the cupboard. This is very dangerous but something we need all people to remain vigilant about given the rising cost of energy. It’s likely the meter will be used for illegal abstraction of gas. There have also been reports of vans and individuals in neighbourhoods who appeared to be loitering around and looked suspicious. 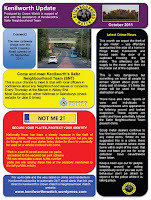 These reports are useful and have potentially helped the Safer Neighbourhood Team prevent crime. Scrap metal dealers continue to tour the town looking to take away any metal items. Whilst it’s not suggested this is a crime, there have been incidents where metal items within sight of the road, that have not been put out for scrap collection, have nevertheless been taken.